Ladies of Botswana, lace up your running shoes! The SPAR Women’s Challenge is coming to Botswana, thanks to SPAR Botswana and the Lady Khama Charitable Trust. 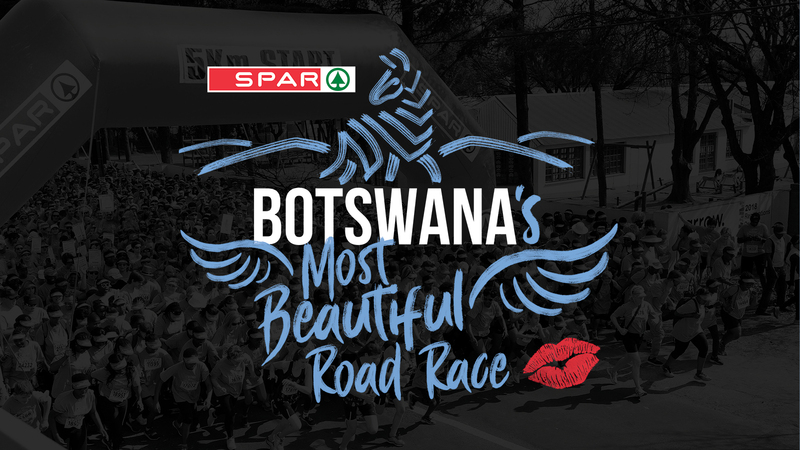 Known affectionately as South Africa’s most beautiful race, SPAR hopes to make the SPAR Women’s Challenge as beautiful and successful in Botswana as it is in South Africa. The SPAR Women’s Challenge will happen together with the Lady Khama RUN21 Trail Run on Sunday 14 April. The Lady K. RUN21 race takes place in Gaborone in the first quarter of the year and has a choice of 21.1km, 10km and 5km trail runs. The SPAR Women’s Challenge Botswana will run alongside the 5km route. Only 1000 entries are available for this year’s race but those 1000 ladies will be making history as SPAR Botswana hopes to make the race an annual event and open a 10km route to more participants. The Lady Khama RUN21 Trail Run benefits the Lady Khama Charitable Trust (LKCT) and the proceeds of the SPAR Women’s Challenge will also be donated to this amazing organisation. The LKCT helps vulnerable women and children, as well as people living with disabilities, early childhood development and Random Acts of Kindness, which focuses on extraordinary cases of need. They acknowledge the need for sustainable growth and allocate funds to projects that exhibit good governance and financial discipline in their support of the disadvantaged people of Botswana. The LKCT supports more than 55 charities in this way and to date, has given out over P18 million through various grants. SPAR Botswana and the Lady K. RUN21 Trail Run are excited to present this new and exciting opportunity for women of Botswana to come together for a good cause, to have fun and engage in the sense of camaraderie and companionship and maybe even win a prize. Come join us on 14 April at the University of Botswana Stadium in Gaborone for the newest and most beautiful event on Botswana’s sporting calendar. Where and how do I enter and how much is it? Entry forms are available from selected SPAR Botswana stores and entry costs P100. Included in your entry fee are a timing chip, race number, official race t-shirt, foam peak cap, finisher medal and goodie bag. Remember that there are only 1000 entries available and entries close on 7 April. Please note that race numbers can only be collected on Friday 12 April and Saturday 13 April (no exceptions) from 10:00 – 18:00 at the VIP Lounge at the University of Botswana Stadium. There will no opportunities to get a race number on race day. Are pets and kids allowed? Only human children will be allowed to participate, no pets allowed. Moms with babies are welcome to bring a pram but keep in mind that it is an off-road race. We don’t recommend wheelchairs for the 21.1km and 10km routes. Wheelchairs are allowed for 5km trail run, which has a mixture of tarred, graded and off-road parts of the route where one might require assistance. What is the cut-off time for runners? The race starts at 08:00 and the cut-off time for runners is 9:15. Prize giving will start at 09:00. It’s not compulsory but we would appreciate it if you would wear your SPAR race shirt in the spirit of the event. You are welcome to decorate or bedazzle your shirt, if the inspiration strikes. RescueOne will provide paramedic support on the day. They will be in the main area with a roaming ambulance for emergencies.